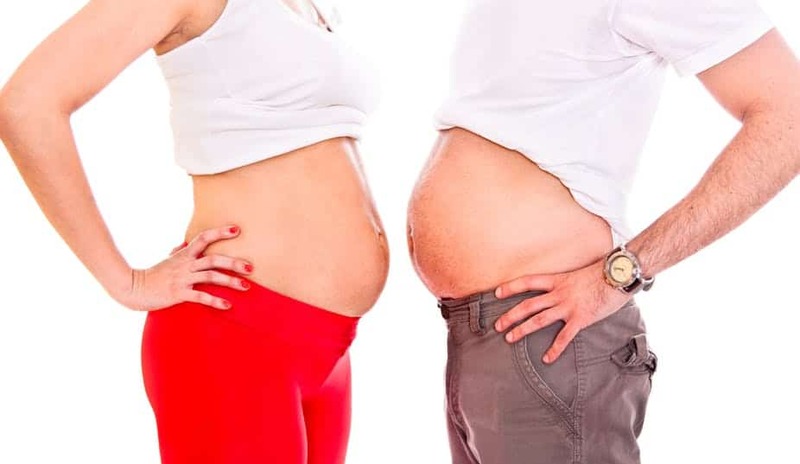 You are here: Home › Stayfitcentral Health & Fitness Blog › Health & Fitness Blog › Ask The Experts › Does Creatine Cause Bloating? Get The Facts Here. Does taking creatine make you bloated? We’re asked this question all of the time. So much that I decided to write this article for you and everyone else who has this question. After reading this article you’ll know with 100% certainty whether creatine does cause water retention and bloating. You’ll also know what the answer means for you specifically and how to get all the benefits from creatine supplements without negative side effects. 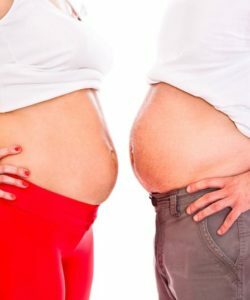 Does Creatine Cause You To Be Bloated? When you take creatine – especially during the 5-7 day loading phase – your body will store more water. This makes many people believe that it will cause you to become bloated. The thing is, this extra water your body retains doesn’t make you bloated. That’s because the extra water you’re storing increases in equal amounts inside and outside the cells of your muscles and organs that store creatine. So, instead of making you look bloated and puffier than the Pillsbury doughboy, this extra water helps make your muscles noticeably more defined and bigger within 5 days. One of the best studies on creatine and water retention was published in The Journal Of Athletic Training. Two things that make it a great reference are the people in the study took the right amount of creatine (enough shown to work in dozens in studies) that’s proven to work and the way they measured water retention is the most accurate method available. The subjects in the study took either creatine or a placebo supplement for 28 days. The first 5 days of supplementation consisted of 20 grams of creatine or the placebo daily in 4 evenly divided doses. This is often referred to as the ‘loading phase.’ You do this to quickly fill your muscles with creatine quickly. It’s shown to be the way to get the best results in terms of building muscle, getting stronger, etc. Following this 5 day loading phase, subjects in the creatine group took a single 5 gram serving every day. This is called the ‘maintenance phase’. It’s enough creatine to keep your muscles filled up so you can continue to see benefits. Results from the study find that creatine does cause your body to store more water. As I write above, it’s stored equally in and outside of the cells that make up your muscles. It’s not stored in greater amounts outside your cells, it won’t make you bloated. Is This Extra Water What Causes You To Gain Weight After Taking Creatine? 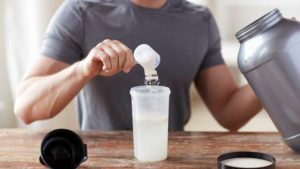 The results from this and other research finds that the 1-2 pounds you gain during the first week that you’re taking creatine is from water. Don’t get turned off by this information. This is ½ or less of the total weight it will help you gain. The rest is muscle. Plus the extra water weight may have its own benefits. Once you go into a ‘maintenance’ phase where you only take 5 grams a day (1 serving). Now’s where you’ll build more muscle. Studies show its during the 2-4th week of supplementation that the extra muscle is built. This is probably because the extra energy creatine provides your muscles helps you lift more weight and do more sets and reps during your workout. In just a few short weeks this extra work is great enough to help you gain more muscle than you did in the last several months. If this is you, then I’d first look to see what else could cause you to become bloated. This first thing to check is your diet. If you’re eating too much you may actually be adding extra fat too. Also, check to make sure you aren’t eating too many carbohydrates, especially from processed foods like bread, pasta, chips, etc. Every gram of carbohydrates you eat causes your body to hold onto an extra X grams of water. In large enough amounts, this may make you bloat. Especially if you’re eating carbohydrate rich foods that are also very salty. This is a sure fire way to become super bloated. I took creatine the entire time I was dieting to lose more 80 pounds. I went from 265 at my fattest to 185. I never once felt or looked bloated from the creatine. I followed a low carb diet so I actually lost lots of water weight. Taking creatine helped me lose weight since it made training hard to burn more calories and build muscle possible since I was eating less calories than my body required. There some easy things that you can do to help ensure you get the most from every serving of creatine that you take. I’ve listed them below for you. 1. Only buy creatine monohydrate powder. Several studies find that this is the best creatine supplement. Don’t be fooled by products that contain liquid creatine, creatine HCL, or creatine ethyl ester. None of them are shown to work at all. 2. Buy a supplement that’s tested before and after it’s packaged. This ensures that you’re getting nothing but creatine in every serving and no potentially harmful ingredients or fillers that don’t do you any good. 3. Every serving (scoop) must contain 5 grams of creatine. This makes it easy to load your muscles in 4 easy to drink servings and simple to keep your muscles filled with just 1 scoop a day. 4. Skip the creatine products with added ingredients. There are lots of products on the market that add other ingredients like sugar, branched chain amino acids, beta alanine, glutamine, etc. While these nutrients may be worth taking on their own, you don’t need them in your creatine for it to work better. Creatine is very beneficial on its own. Some of these ingredients – especially excessive amounts of sugar – may actually make you bloated. Others like beta alanine and glutamine aren’t likely to be present in large enough amounts to be of any benefit. Plus their inclusion in the supplement is likely to decrease the amount of creatine in each serving. This means you’re not likely to take enough to see any benefit so all you end up doing is wasting your money. Which Creatine Supplement Do I Take? The product I use is Betancourt Micronized Creatine Monohydrate. Every serving has 5 grams of pure micronized creatine monohydrate in every serving. There are not added sugars, amino acids, etc. Just creatine monohydrate that’s micronized which means it’s ground into a very fine powder that dissolves instantly in water. It’s also tested to be free of impurities and to contain nothing but pure creatine monohydrate. Every container has over 100 servings and will last you at least 2 months. Click here to buy Betancourt Micronized Creatine. Now you know all there is to know on creatine and bloating. All that’s left is for you to give it a try yourself to see what it does for you. Make sure you take it properly and train hard too which helps it work even better. Deminice R, Rosa FT, Pfrimer K, Ferrioli E, Jordao AA, Freitas E. Creatine Supplementation Increases Total Body Water in Soccer Players: a Deuterium Oxide Dilution Study. Int J Sports Med. 2016 Feb;37(2):149-53. Michael E. Powers, Brent L. Arnold, Arthur L. Weltman, David H. Perrin, Dilawaar Mistry, David M. Kahler, William Kraemer, and Jeff Volek. Creatine Supplementation Increases Total Body Water Without Altering Fluid Distribution. J Athl Train. 2003 Jan-Mar; 38(1): 44–50. Can You Take Creatine During A Fast?